Nearly one year after Roxanne Carr was awarded $255,000 plus interest for being wrongfully arrested and jailed by Ottawa police, her lawyer hasn't been paid because the city is disputing the legal fees it was ordered to pay. Nearly one year after Roxanne Carr was awarded $255,000 plus interest for being wrongfully arrested and jailed by Ottawa police, her lawyer hasn't been paid because the city is disputing the legal fees. The court tussle sheds light on how the municipality is trying to keep legal costs down after spending 21 per cent more than it budgeted last year to fight legal claims filed against the Ottawa Police Service. Carr was arrested and charged with obstructing police and damaging property in 2008, but prosecutors withdrew the charges in April 2011 after viewing a video of her treatment in a cellblock. The video showed officers dragging Carr into the cellblock by her arms with her wrists handcuffed behind her back. She was then hogtied with restraints and left nearly naked in her cell for almost three hours. 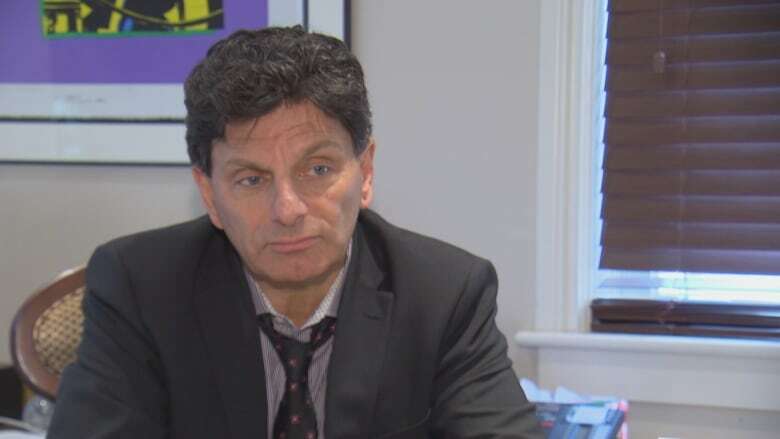 The city isn't fighting the amount awarded to Carr and has already paid her, but it wants to pay lawyer Lawrence Greenspon much less than the $191,000 he billed. During the nine-day civil trial in July 2017, court heard Carr was mistreated when police encountered her. During her arrest responding officers threw her to the ground and kicked her in the face. Two bones in her right wrist were also broken. In her decision, Ontario Superior Court Justice Sylvia Corthorn wrote "the indignity and humiliation experienced by Roxanne in that setting warrants compensation. My intention in awarding damages under this heading is that of deterrence of future Charter breaches of this kind." Greenspon and colleague Marisa Victor worked on Carr's case for more than six years and the court ordered the city to pay those legal costs. In court this week, City of Ottawa lawyer Geoffrey Cantello alleged Greenspon's firm overcharged by $56,500. Cantello argued Greenspon's rate of $5,500 per trial day was too high, he questioned why both lawyers had to be at Carr's side during her deposition, and he said Victor's time wasn't billed at a junior rate. Corthorn will decide how much the city should pay next week. Greenspon said he offered in 2015 to settle Carr's case for $150,000, but city lawyers rejected the proposal. It was a gamble that didn't pay off for the city. "It's a bit like a poker game. You say, 'This is what we think our hand is worth.' In this case the city offered $20,000 in interests and costs, and it wasn't difficult to say 'No, thank you,'" Greenspon said. "So we went to trial and were awarded a lot more than we were willing to settle for." Documents presented to the Ottawa Police Services Board show the city paid out $898,724 in claims last year. Carr's award was not included in that calculation. Documents also show the city went 21 percent over budget paying its staff to fight the claims, spending nearly $400,000 to represent police at civil trials, as well as in mediations, discoveries and settlement conferences. Deputy solicitor general David White said the city does a careful cost-benefit analysis before deciding whether to fight a lawsuit. "We are charged with that kind of balancing, and the recognition that it's taxpayer's money that goes into fighting a claim or paying a claim," he said. When asked if it's common practice to go to court to get legal costs reduced, White said decisions are made on a case-by-case basis and depend on whether city lawyers deem the costs "reasonable." "What we hope to achieve in terms of a reduction may not be offset by the costs that we would incur. If so, we wouldn't pursue," he said. There are currently 67 active lawsuits against Ottawa police. Forty-six of the civil claims involve allegations of excessive force, false arrest or negligent investigations. City lawyers are also dealing with 13 active human rights complaints against Ottawa police, including four allegations of racial discrimination filed by their own officers.